as a Child Care option? 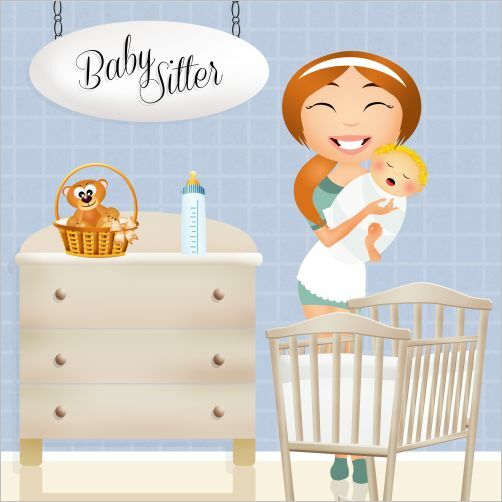 Babysitters work great for many families. If you are Blessed enough to come across a trustworthy person then this can be an excellent option. It is important however that you equip these sitters with everything they may need to know about your child. You will want to do the normal screening and test their interaction with your child. With any child care option, you will want to prepare the person to know everything possible. From favorite foods, to toddler allergies. Their soft blankies and bottles. If you want to avoid getting a phone call every 10 minutes...LOL then it is best to prepare the caregivers. Here is a "mini guide" to help make that happen. How do I Prepare the Babysitters? All Medical History. Are there any allergies, food allergies? It is very important to share all information. Talk about medications and your feelings. You may not want your child to be given any meds while you are not home. Make this point very clear. Too many young children die each year from accidental overdose. Food Choices and Meals. Does your child hate to eat a certain food? You may wish to tell them all of their faves as well. It is very important to express the food schedule your child is on and ask that the care provider stick to the same thing. You do not want your child to think they can have a free for all when you are not home. Toddler health must be monitored. Inform the sitter that you want your same food restrictions enforced. Blankets and Toys. What are his favorites? What is he afraid of? Does he need a pacifier? etc. The more they know about your child the better they will be able to take care of them. Contact Phone Number Lists. Have a large posted list with all of the important numbers posted. Provide work and cell numbers for both you and the daddy. The pediatrician's phone number and any emergency family number to contact. You want to let the caregiver know how important toddler safety can be. Emergency Instructions. Have a list of where the fire extinguisher is located and first aid supplies. A written signed statement is also a good idea. This will give the them permission to act on your behalf in a medical emergency. So there you have it. Just some basic information on babysitters if this is the option for your family. When choosing any type of child care providers, you must proceed with caution. This is a big step and keep in mind the caregiver is replacing you for a short time. They must meet up to your standards for the sake of your child.